All THE COVE AT HERRIMAN homes currently listed for sale in Herriman as of 04/22/2019 are shown below. You can change the search criteria at any time by pressing the 'Change Search' button below. 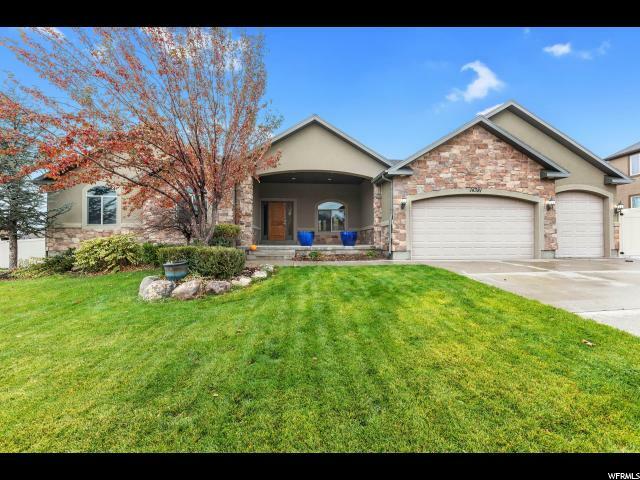 "Gorgeous rambler in highly desired Cove in Herriman. Spacious open floor plan, vaulted ceilings. Bright kitchen w/ granite counters, breakfast island, open to family room & fireplace. Lg master suite w/ bay window, walk-in closet, tiled shower, jetted tub. Finished basement w/ large family/tv room, tons of storage, new carpet, extra-lg BR w/ private bath entrance. Huge .3 acre yard, fully fenced, covered with trees, shrubs, veg. garden, fire ring. 3-car garage, extra deep. Double-wide RV pad. Square footage figures are provided as a courtesy estimate only. Buyer is advised to obtain an independent measurement."